Beautiful and strong trends seem to be proliferating in the world of interior design and decoration. No matter where you are in the world, there seems to be unique and interesting trends that portray something particular about a specific country or style. Here at homify, we love exploring all of these and exposing our readers to the latest and greatest in the world of design. 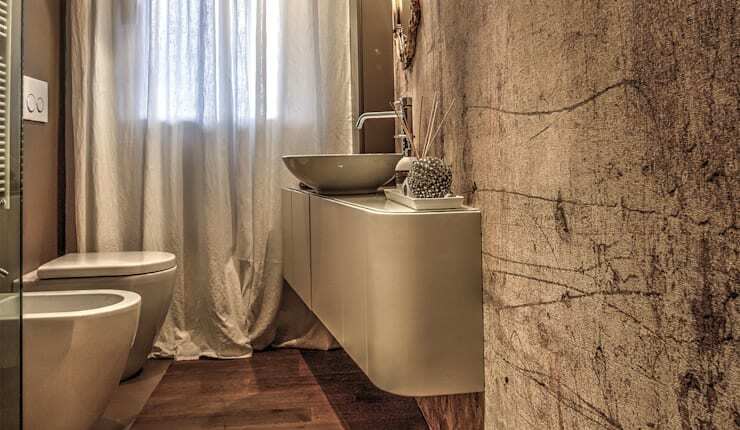 Today, we are taking a closer look at the design of the bathroom in particular, especially pertaining to innovative trends and ideas for bathroom design. These 8 trends are wonderful to look at if you're just looking for some visual inspiration, but are also great ideas to implement within your own home and in your very own bathroom. 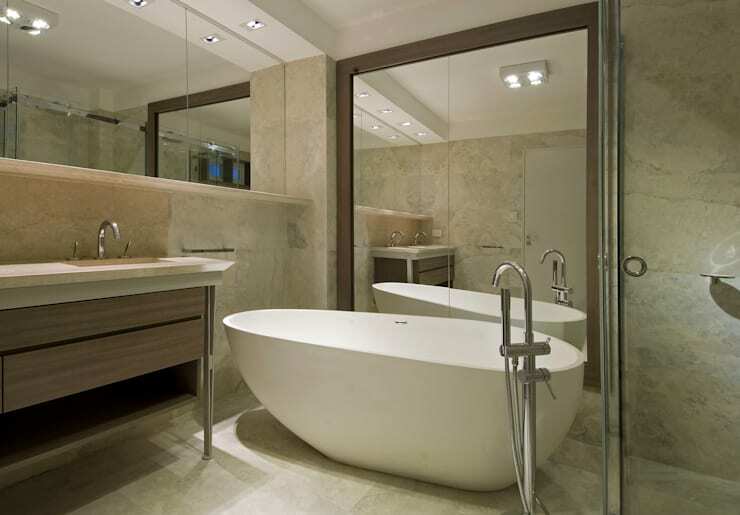 Join us then to take a look at the 8 trends that are making waves in bathroom design lately. We are sure you will be delighted with what you find in our list! Art Nouveau decor experts found stone to be a precious source of elegance, beauty, harmony and integration with nature, and so is best employed for cosmetic purposes within the home. Here, the elegant stone is used in conjunction with clean lines in wood and a dark colour scheme. 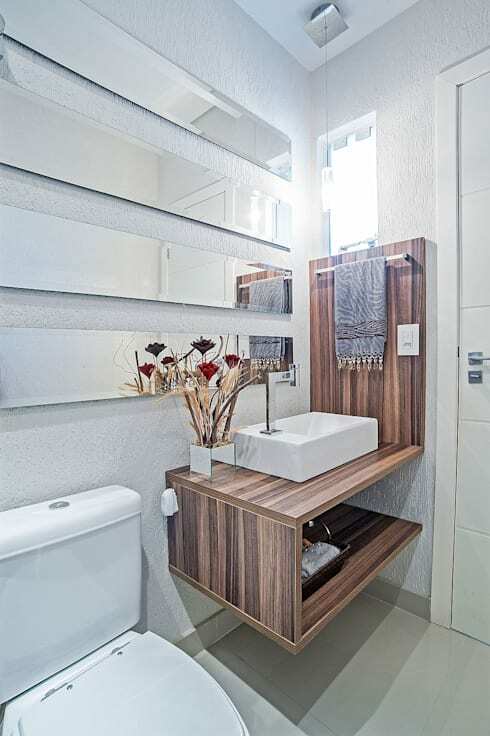 A magic solution in small spaces is a large mirror, which will not only expand the sense of space, but also keep the beauty in your bathroom. 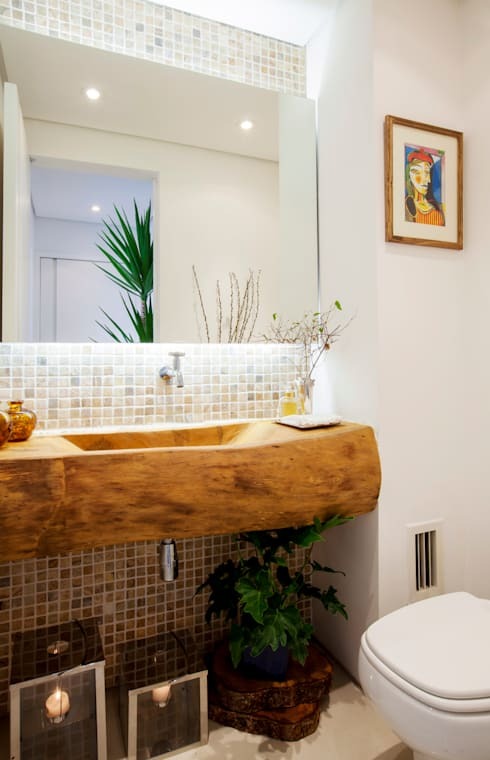 Mediterranean style decor is quite popular lately, and here we see it perfectly employed using a carved stone treatment on the wall, a beautifully bespoke wooden basin, and touches of green plants to bring a sense of freshness. Colourful and bespoke, these hydraulically pressed tiles can bring life and beauty into any bathroom with little effort. 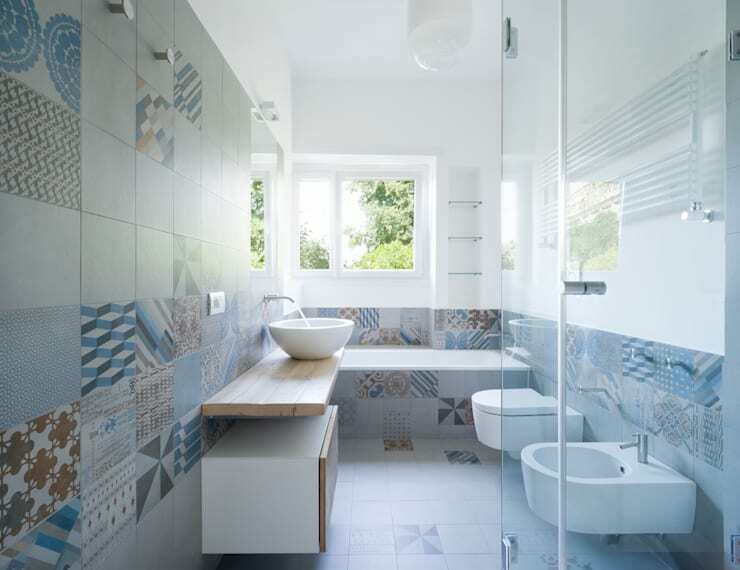 These unique patterns put a new twist on bathroom tiles, and is very dynamic. Marble or natural stone has always been a sign of elegance and opulence, but is not necessarily possible to incorporate on a standard budget. 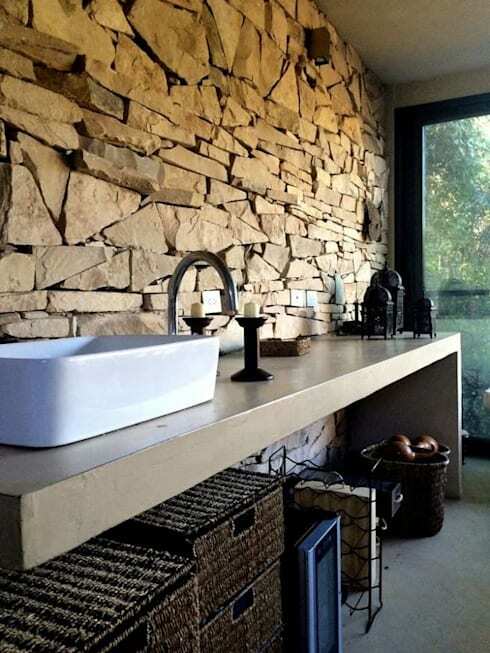 A new solution is to add a slab of stone as decorative element to your bathroom, which will bring in that elegance at a much more affordable cost. 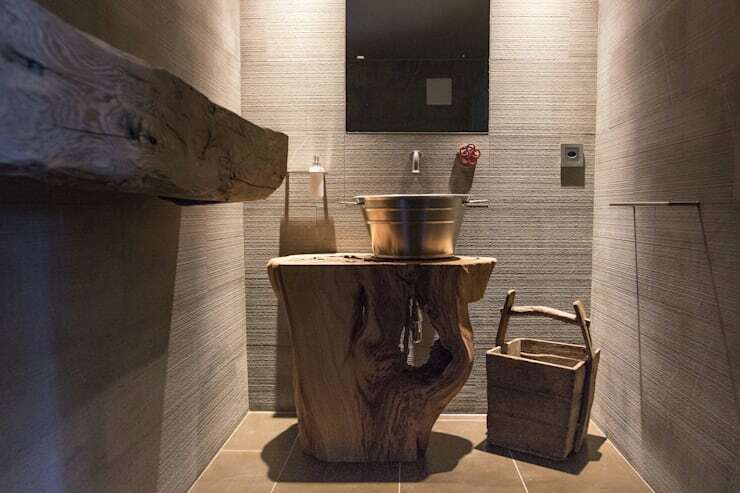 Wood still sits on the throne of raw materials and materials used in interior decoration. Here, this bold design has been used in an innovative way for a beautiful result. If you're a fan of modernity and modern lines, you will love this design that incorporates a definitive modern unit. If you love the texture of stone or wood, but are really not keen to spend thousands of rands, an imitation wallpaper will open up a world of wonder. We are certainly excited about these bathroom trends, and hope you also found some inspiration in them. 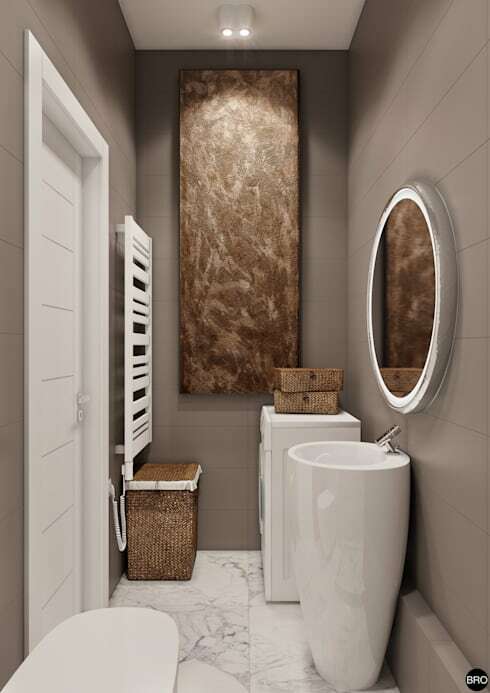 Now, if you have a small bathroom, you can still have the interior design scheme you want. Just take a look at a few clever tricks to make living with a small bathroom a lot easier. Which of these trends did you like the most?